As businesses grow, the number of layers between frontline staff and those running the organisation increase. In small businesses, where teams are in single figures, it’s relatively easy to stay informed of problems and understand the full picture when it comes to poor quality. However, adding just a few layers of management, or a few dozen people to a business can change the way it communicates and obscure what was once clear. Did you know that on average, upper management are only aware of 4% of problems facing staff and customers? Did you know how much poor quality was costing your business? Lean Six Sigma is a proven business improvement approach that can help us tackle both of these issues. 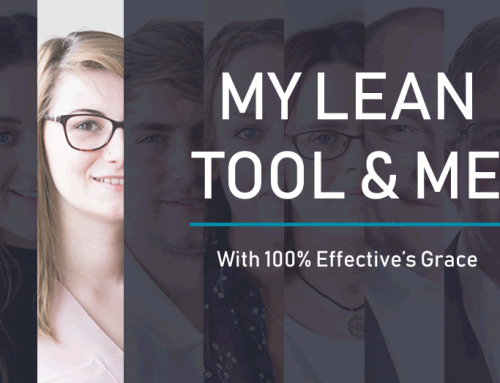 It focuses on improved communication and empowerment of staff so that problems can be resolved without having to be escalated to upper management first. It also highlights the importance of good processes and standardisation so that wastage through poor quality is a thing of the past. 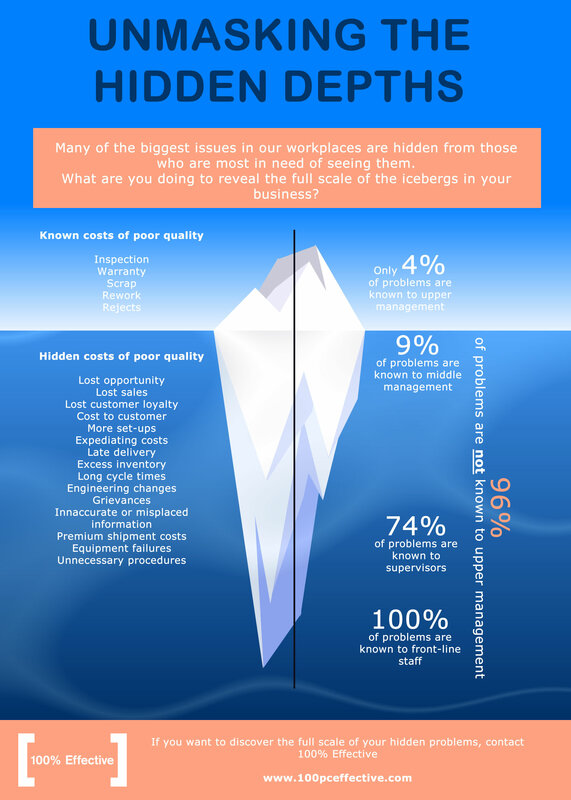 Take a look at our infographic to look beneath the surface and unmask the hidden depths in your place of work. 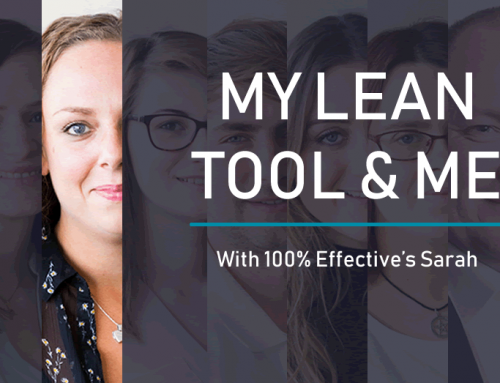 If you’d like to know more about how 100% Effective can help you get a handle on the hidden problems at your place of work call 0800 066 3749. 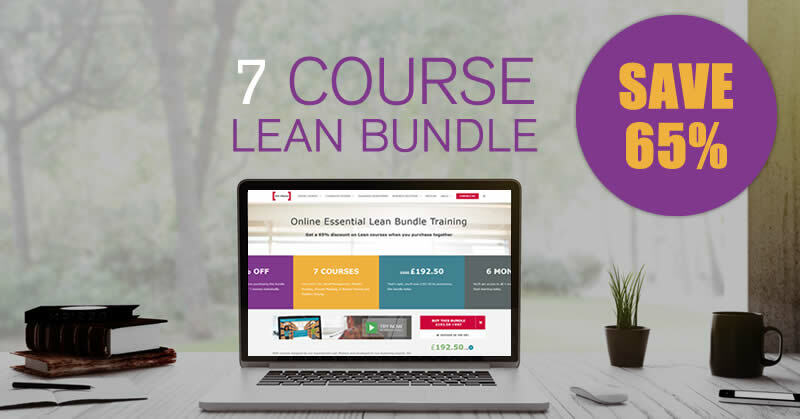 Or click below to learn more about Lean Six Sigma with our free 15 minute White Belt training course.